I’m a stomach sleeper and this is exactly what i needed! 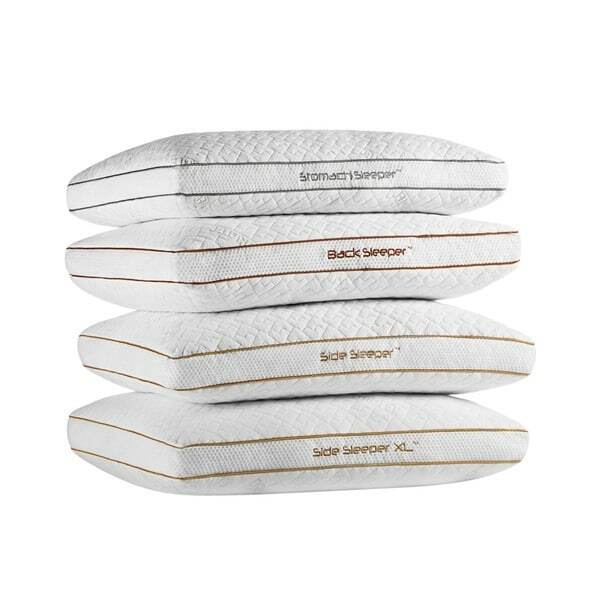 Align's soft surface creates a cushion that moves with you while providing the perfect support for your unique sleep position. Our conforming fill and migrating loft fits to your facial contours and allows maximum air passage. Our temperature regulating Dri-Tec fabric wicks away heat and moisture to keep you cool and dry while you sleep for maximum recovery while our Air-X sidewall panels enhance airflow. I bought these pillows because i needed pillows that support my neck and shoulders but allow me to sleep comfortable. i like these pillows just "one night of sleep" I slept comfortable and the next morning I did not have the "slight pain in my neck" that I had sleeping on pillows that I had purchased from another source. I plan to but two more of these pillows. I bought the "side king-size pillow and the back king-size pillow. I bought this pillow about 6 years ago and recently began looking to replace it. Finally I was able to find it on Overstock! I love this pillow. I have trouble with my neck and back and after going through a hand full of pillows this is the one that gives me the most comfortable sleep. I was so thankful to find another one for a great price! My most favorite pillow to date! I laid on one of these pillows at a mattress store months ago and immediately came home and shipped around for it online. Overstocks price is pretty much unbeatable! I ordered a stomach sleeper and now I CAN’T use any other pillow in the house. It conforms easily but doesn’t flat out entirely. And even after nightly manipulation it maintains its shape; smooth and lump free. My husband is not a stomach sleeper and yet I repeatedly find it over on his side of the bed... so I just ordered two more (a side and a back sleeper) for under the tree!! This bedgear pillow is amazing. It is by far the best pillow I've had. It has resolved my neck and backaches, which I had previously had all mornings when I woke up! Also since I was painfree, I was able to go about my day without taking pain pills and was able to walk and drive without aches and pains. Thank you for the bestest pillow. It has helped me to thrive! These were the exact pillows I was trying to find everywhere. I wanted them to replace ones I bought years ago from a company that went out of business. The price was less than anywhere else. Love these side sleeping pillows!!! The most comfortable pillo I haveever had. Even though it is for a stomach sleeper, I sleep on my side and all neck pains are gone. Little Red said "this pillow is too soft!" Did not care for this purchase. When you put your head down on it, the sides came up around the sides of your head and it covered your ears because it was so soft. Nice pillow but huge. It nice to decorate a king size bed. I had the pillow before and purchased it again. I had this pillow before and purchase it again. I don't really understand what is different about this pillow, I just know that I find it extremely comfortable and durable. This is way too thick. I was replacing a Bedgear pillow that says "stomach sleeper" but there is no comparison. Sadly, to return this item is nearly as expensive as the item itself. What a dilemma. Be careful what you purchase from this company. This is the most comfortable pillow I have ever bought! I ordered the back sleeper and it was a great pillow at first but after 3 months it lost its shape and support. Now it’s lumpy and flat. I thought this pillow would be more firm. Makes a great hug pillow and it's easy to wash.
Not worth the money. I've had them for about 2 months and they are flat. I have to fold it in half just to have support. I was excited for new pillows when we got our new bed and I'm really disappointed. I chose this pillow because I have previously purchased the same one for myself and my husband. We love the pillow and this is the cheapest I have seen it. "Which pillow is the thinnest? I am a petite person and at the store they had me try a 0.0 . I sleep on my back and my side, but I can't have anything to thick." "Can you return this pillow if needed?"